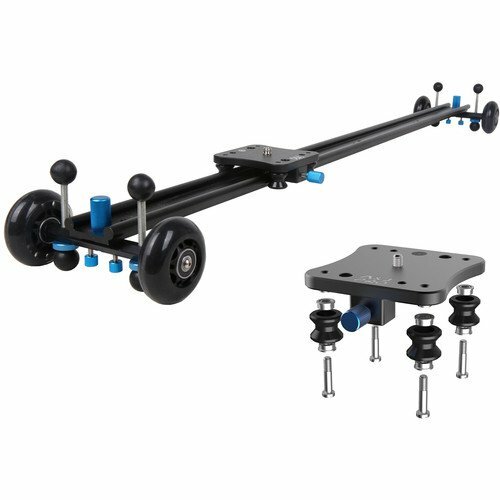 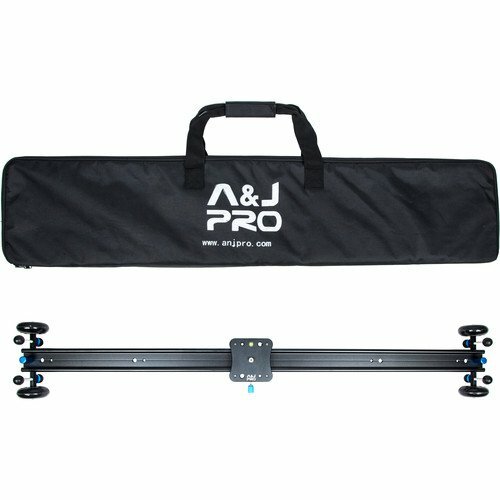 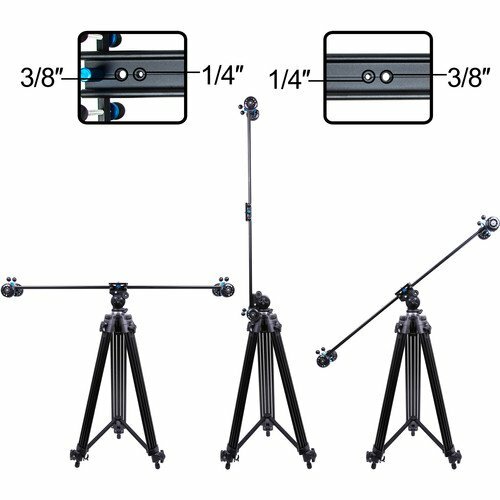 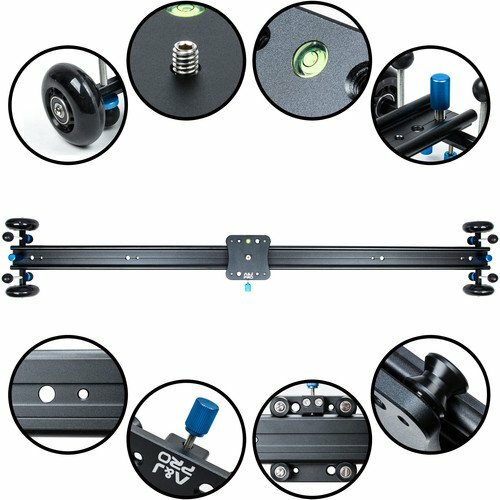 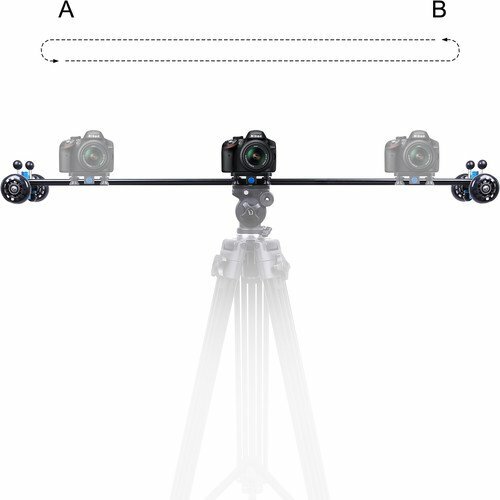 A&J Pro Moving Dolly Track Camera Slider 39.4"
This 40″ A&J Moving Dolly Track Camera Slider features five tripod mounting positions, adjustable-height feet, and wheels for creating freeform dolly or tracking shots. 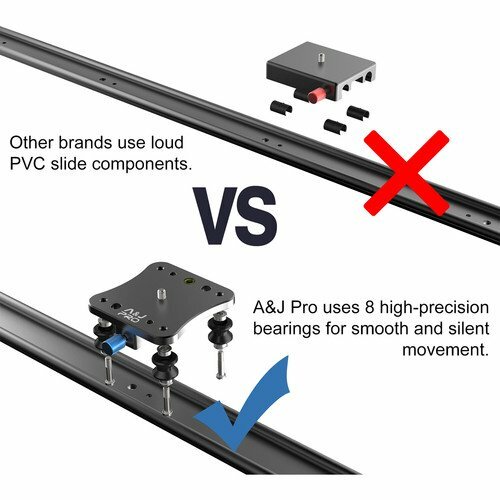 The track consists of a single-piece construction of the track bed and rails, with removable track stops/ends that incorporate the adjustable height feet and wheels. 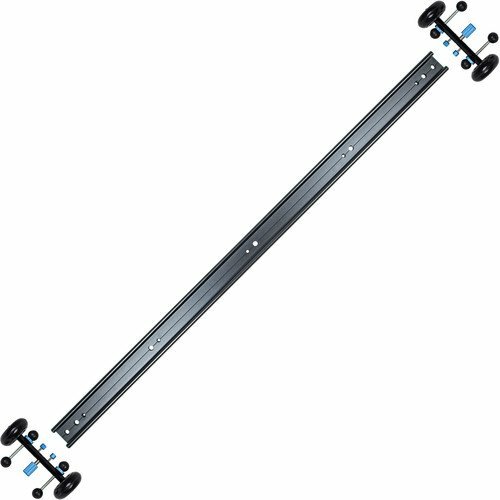 The carriage glides on roller bearings along the track rails and has up to 39.4″ of travel. 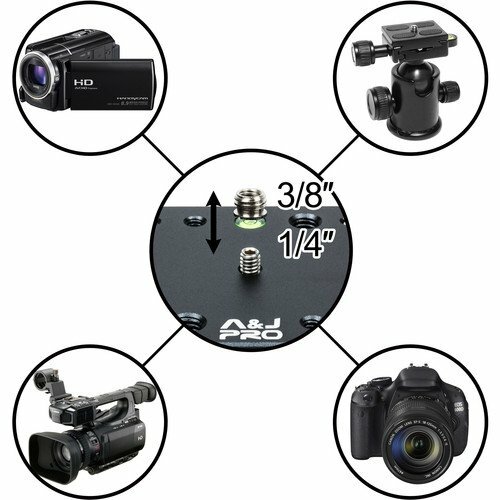 Box Dimensions (LxWxH):	42.0 x 9.25 x 3.5"